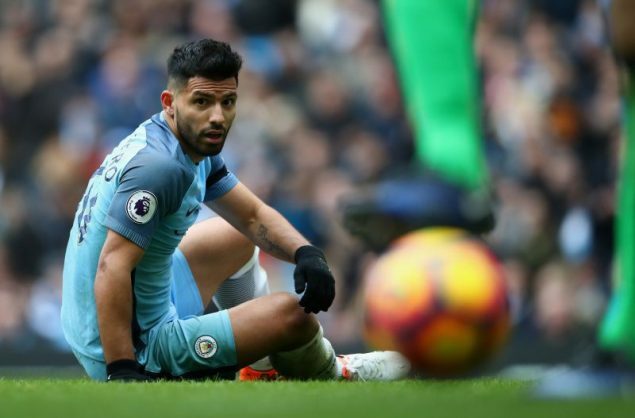 Sergio Aguero has paid the price for his petulance during Man City's ill-tempered clash with Chelsea. Photo: Clive Brunskill/Getty Images. Chelsea won the game 3-1 to move three points clear at the top, but both clubs have been charged by the FA with failing to control their players following the feisty finale. City and Chelsea have until 1800 GMT on December 8 to respond to the charge. Fabregas has avoided censure for apparently striking Fernandinho during the bench-clearing row, prompting the Brazil international’s furious reaction.